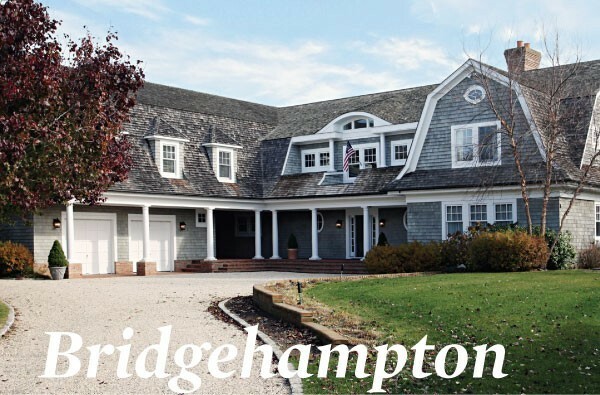 Roll off the wrong side of the bed in this Bridgehampton spot and you’ll be in the ocean! 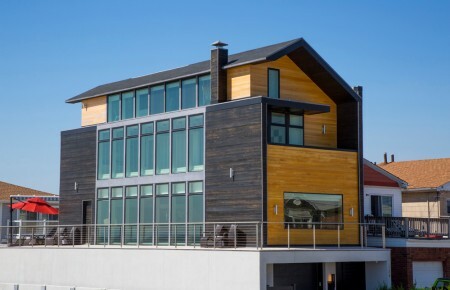 This gambrel shingle style home earns its sturdy, weathered look, being situated just an eighth of mile from the beach. Inside, an airy, white theme warmed by bronze woods welcomes homeowners to kick off their shoes and relax in the substantial living room or share a family meal in the open dining area. Inhabitants and guests looking for a little seclusion will feel at home in the wood-paneled library complete with fireplace and floor-to-ceiling windows. And those who want to socialize will have a great time beside the swimming pool or in the shaded pool house. A relaxed atmosphere pervades the area, although, like everyplace ending in ‘hampton, the bustle increases during the summer months. Local attractions include the beach, of course, as well as the historic Beebe Windmill at the corner of Ocean Road and Hildreth Avenue. Another treasured local tradition is the presence of crab fishermen who still seek out blue claws from the waters below the bridge.